What’s it about: Four international heroes completing missions and adventures. 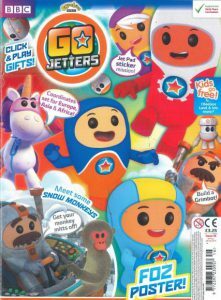 Go Jetters is a monthly children’s magazine based on the hit CBeebies television series, originally released in October 2015 in which four international heroes are in their final stage at the ‘Go Jet Academy ‘. The hit series is best known for exposing facts about foreign countries and environments through the use of songs and music. 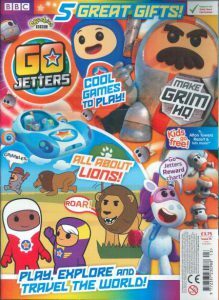 The successes of the TV show then shortly lead to the BBC Go Jetters magazine being launched in June 2016. The hit series is a great way to teach pre-schoolers, aged 4-7, about geography and famous landmarks worldwide. 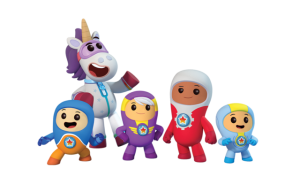 Go Jetters follows the global adventures of explorers; Kyan, Lars, Foz, and Xuli, the only girl of the group. Each Go Jetter has a star logo on their suit, and a particular speciality sentence they repeat throughout their escapades. They visit the world’s wonderful landmarks alongside their teacher, mentor, and friend, Ubercorn, as they put their knowledge to the test; Ubercorn is a cool, disco loving guru to the world of geography, and a unicorn. 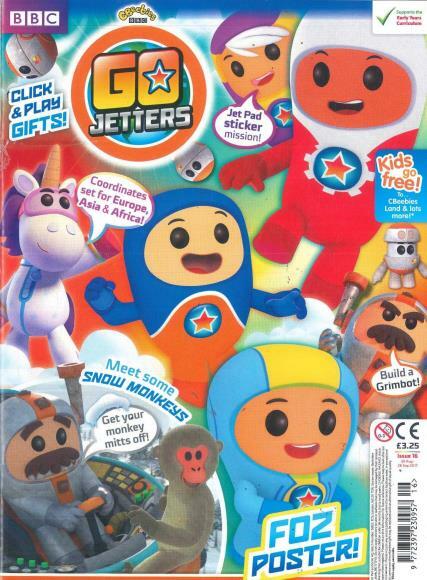 The Go Jetters travel all around the world and visit every continent including Antarctica! Their nemesis, Grandmaster Glitch, is a resentful former cadet of the Go Jetter Academy; his fun involves him destroying landmarks in order to achieve his wicked plans. He lives in the Grim HQ, a big rusty ship, in which he travels around with his teddy bear, Cuddles. Grandmaster Glitch’s trademark is his hefty moustache, the tube-like pieces on his helmet, and his catchphrase ‘Grimbles’. 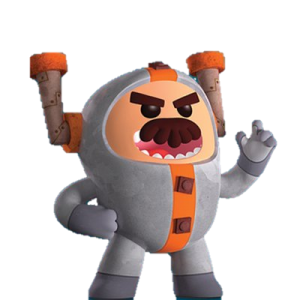 He addresses the Go Jetters as ‘No Jetters’, as it is their mission to save the famous landmarks once they discover they have been ‘glitched’ by Grandmaster Glitch and his Grimbots. Ubercorn helps by delivering Click-ons for the duration of their assignment. With the help of Ubercorn and the Click-ons he delivers during their assignment the Go Jetters can save the landmarks. They visit everywhere in the world from modern landmarks including the Eiffel Tower to natural geography such as the Amazon rainforest. After they have saved the landmark, as a souvenir the Go Jetters take a selfie. Go Jetter is packed full of exciting content to keep little ones entertained and to help them learn; the publication encourages curiosity but also engages youngsters’ imagination so they can learn all about geography in a way that is appealing to them. Next Next post: School Competition – Win with Bayard Publishing!